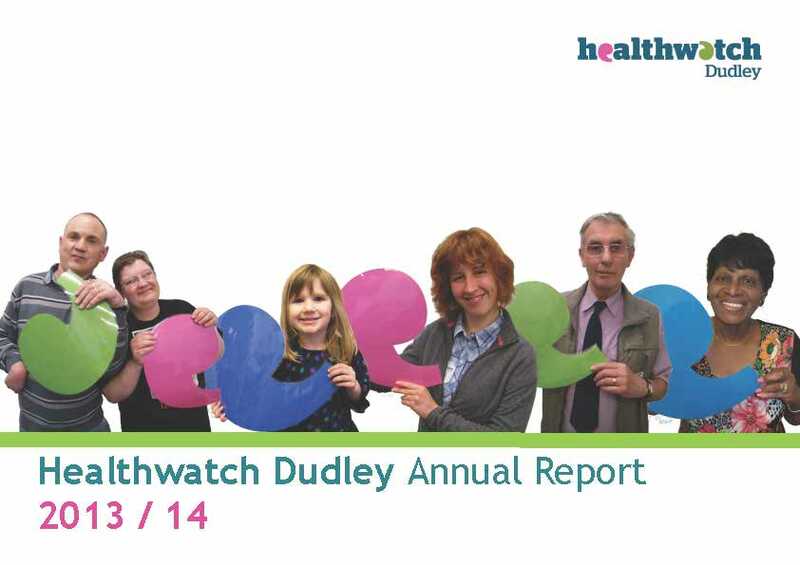 Healthwatch Dudley is your champion for health and wellbeing. We listen to what you have got to say and share your experiences with people who make important decisions about health and care services in Dudley borough. 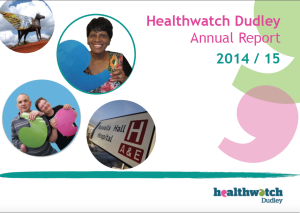 Every year we produce a report which highlights how we have been making a difference and we are delighted to share our 2014/15 annual report. Download a copy of our report here or contact us for more information. We would love to hear what you think! 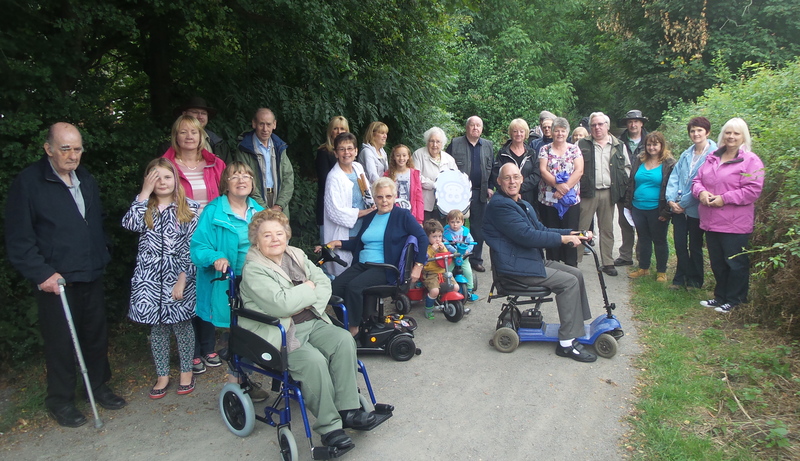 This entry was posted in Uncategorized on June 30, 2015 by Healthwatch Dudley. 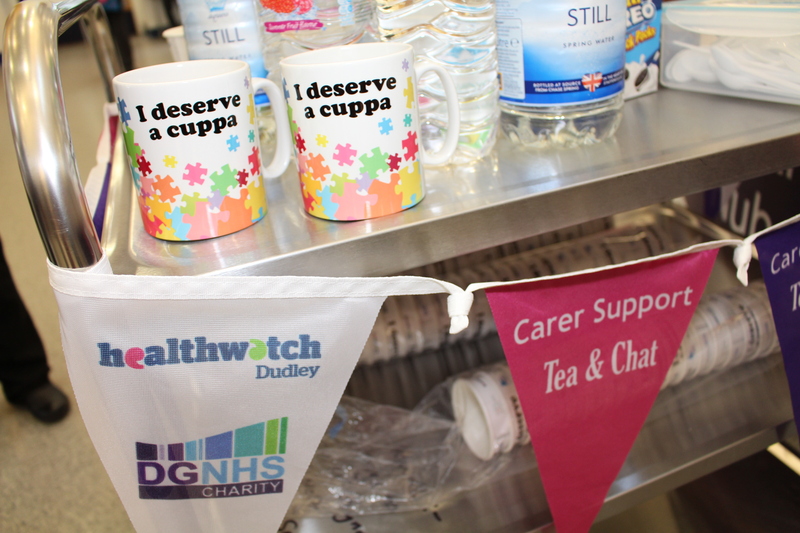 The People’s Network is a partnership between Healthwatch Dudley, Dudley Council, local people and partners in adult social care. 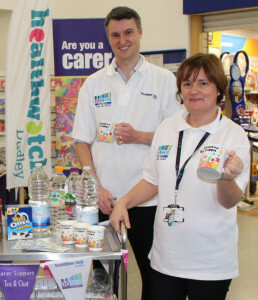 Support for Carers – people who care for a friend or family member or support someone who does. The conversations that took place were shared with the Carers Alliance and will help to shape the the future of support for carers in Dudley borough through a new carers strategy. Do you want to join the People’s Network? Everyone is welcome but if you are attending from a local organisation, we would like to encourage you to attend with someone who you support. This entry was posted in Uncategorized on June 19, 2015 by Healthwatch Dudley. 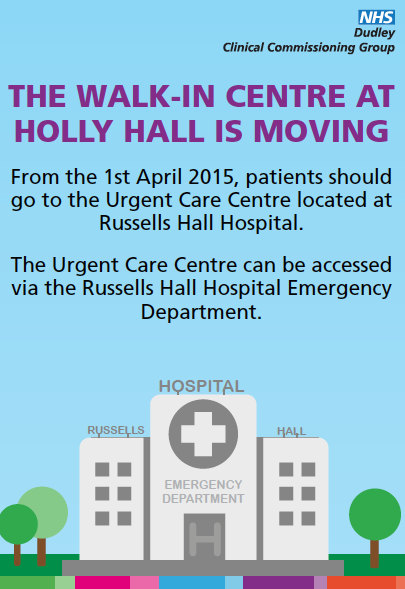 Holly Hall Walk-In Centre closed its doors on April 1st 2015 and the the new Urgent Care Centre is now accessible through the Russells Hall Hospital emergency department. Find out more about the new service here. 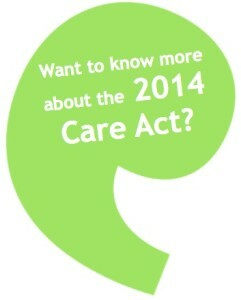 As with any change in access to local health services we are really keen to hear your views. Tell us what you think using our online form, drop us an email or have a chat with the team. 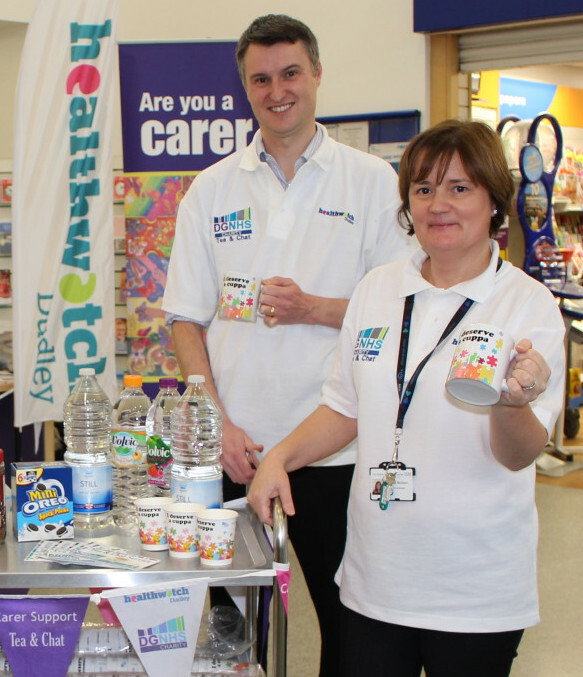 This entry was posted in Uncategorized on March 16, 2015 by Healthwatch Dudley. Are you passionate about adult social care in Dudley borough? A launch event took place on 11th of March where people were invited to plan the focus of the next two network events. The network is for people who access or provide services or those who care for people who do and everyone is welcome! This entry was posted in Uncategorized on February 5, 2015 by Healthwatch Dudley.